Ever wondered what your return on investment would be if you had bought Apple stock instead of Apple hardware at the same cost? Great, because now you can torture yourself with the riches you don’t have! If you bought a top of the line PowerBook G3 in 1997 for $5700 get ready to pinch yourself… if you had purchased the equivalent in Apple shares instead it would have grown to a whopping $330,563 over the past 13 years. So how about my own Mac purchases? What if I had bought Apple stock instead of a white MacBook four years ago? That’d be $3,610. 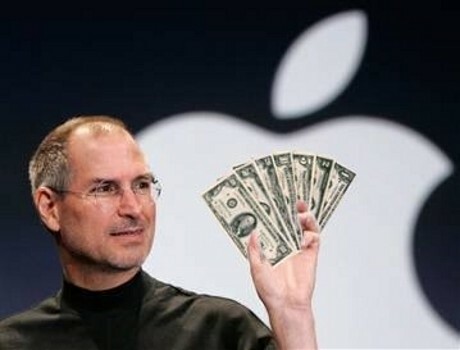 And what about Apple stock instead of that super cool $3000 Titanium PowerBook G4 that I so proudly bought in 2002? Ok now this just hurts… the value would be $94,334! Even that silly $99 iPod shuffle from 2005 would be worth $841 now. The data is slightly outdated and it doesn’t include the iPad or iPhone 4, but you can find most other Apple hardware here that’s been released from November of 1997 to April of 2010. I should caution, looking at this list may inspire some regret of past purchases and a desire to invest in Apple stock for the future… if only it wasn’t sitting at an all-time high! Yes, that’s 4354% growth with a split in late 2004. Apple is sitting comfortably today at $330+ a share, giving them a current market cap second only to oil giant Exxon Mobil. No wonder Steve Jobs has been named CEO of the decade. Thanks to Dan for sending this in. I think my new policy will be this: for every Apple product I buy, I must buy an equivalent value of Apple shares. If I wouldn’t have bought my Macs, Windows would have driven me mad by now. Ha-Ha… thats so funny and true too…. But if everyone had bought shares instead of product then there would have been no business! I bought an Apple II in 1977 for about 2000$ (I’m in Denmark) Wonder what the same in stock would be worth today?